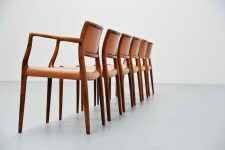 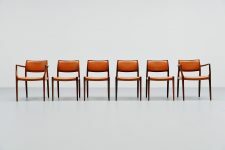 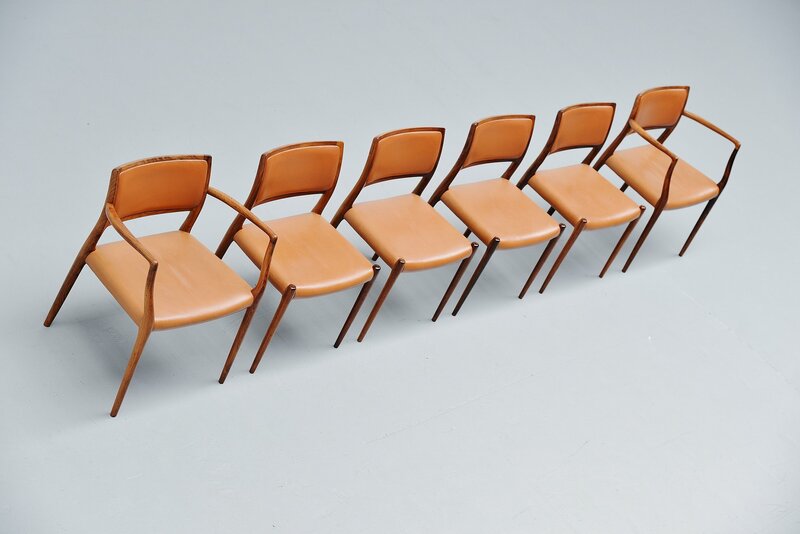 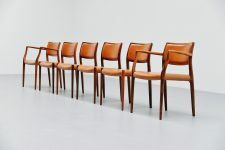 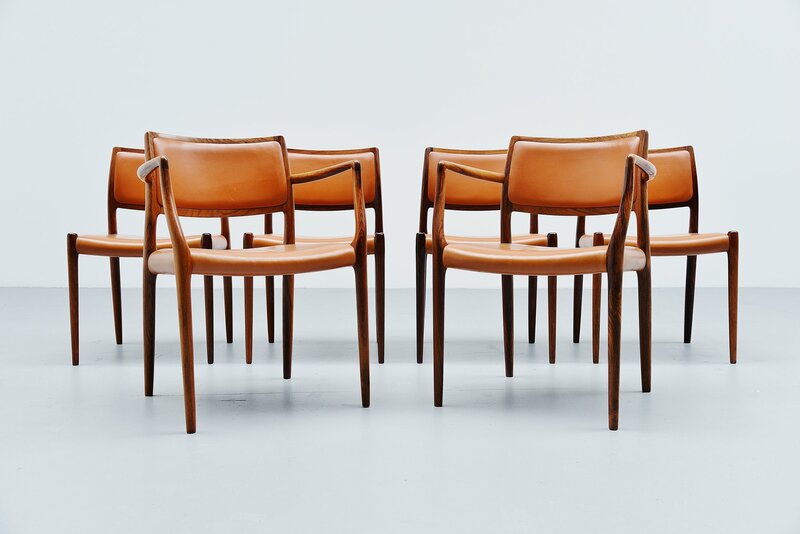 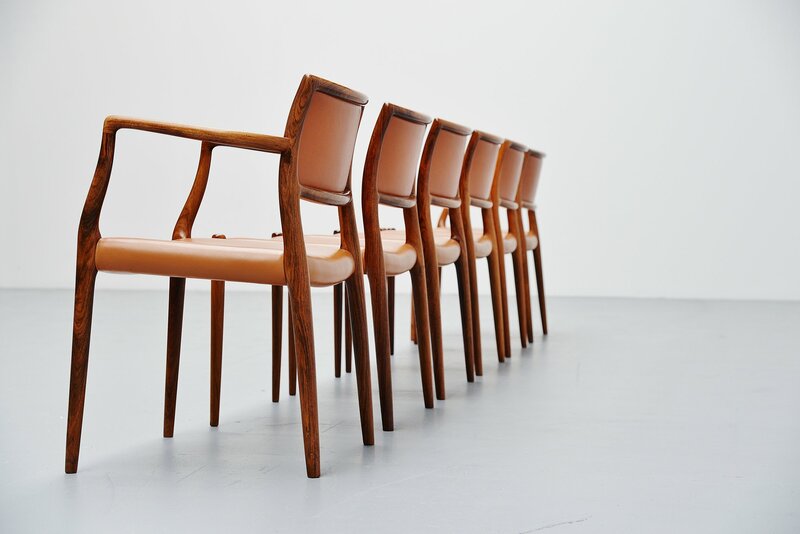 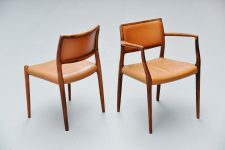 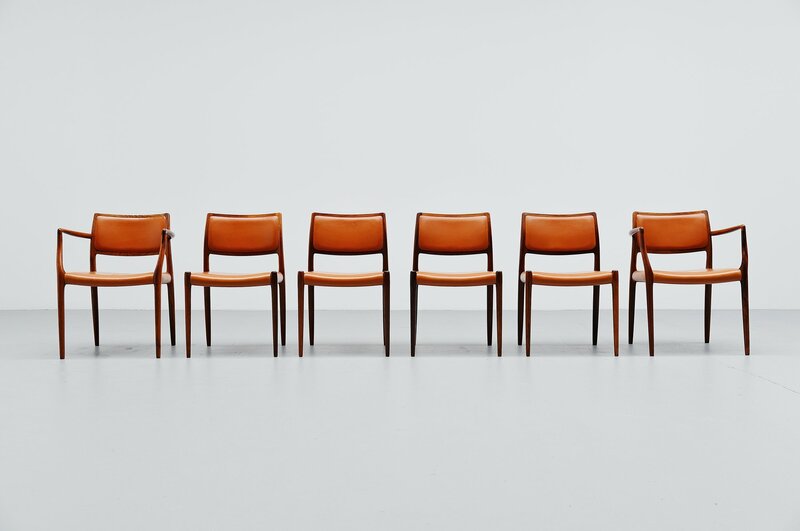 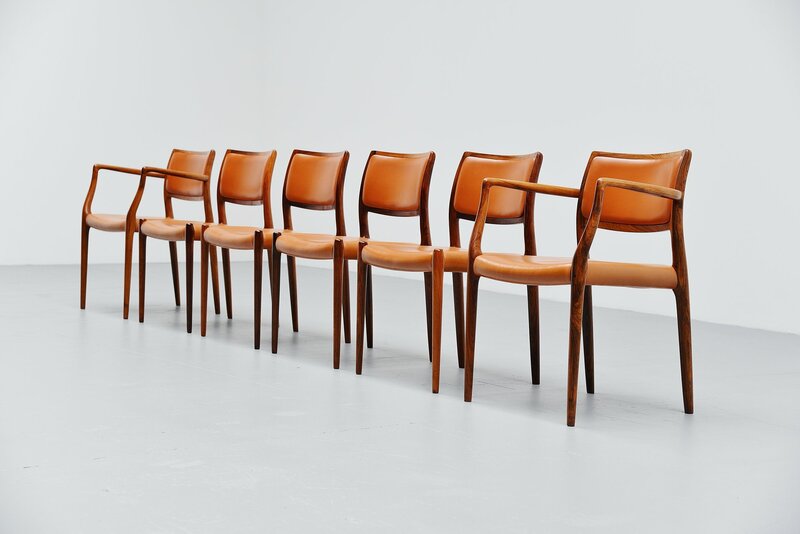 Very nice set of 6 rosewood chairs model 80 and model 65, designed by Niels Moller and manufactured by J.L. 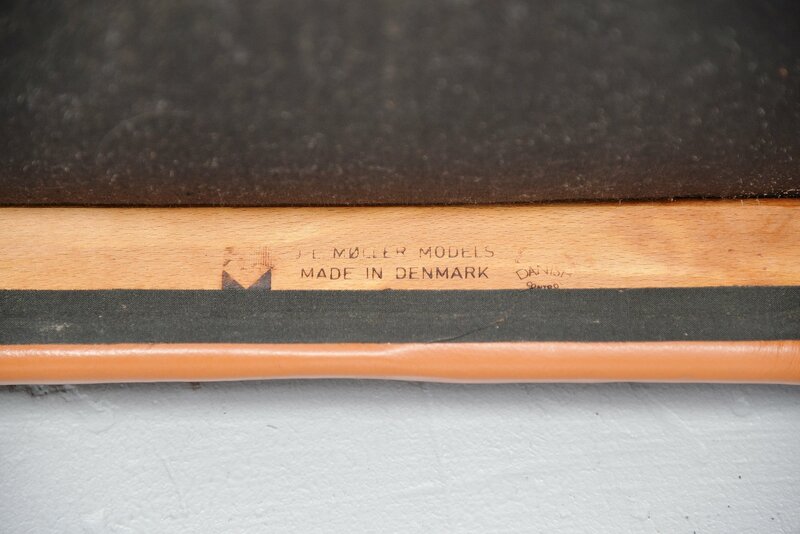 Møller Mobelfabrik, Denmark 1966. 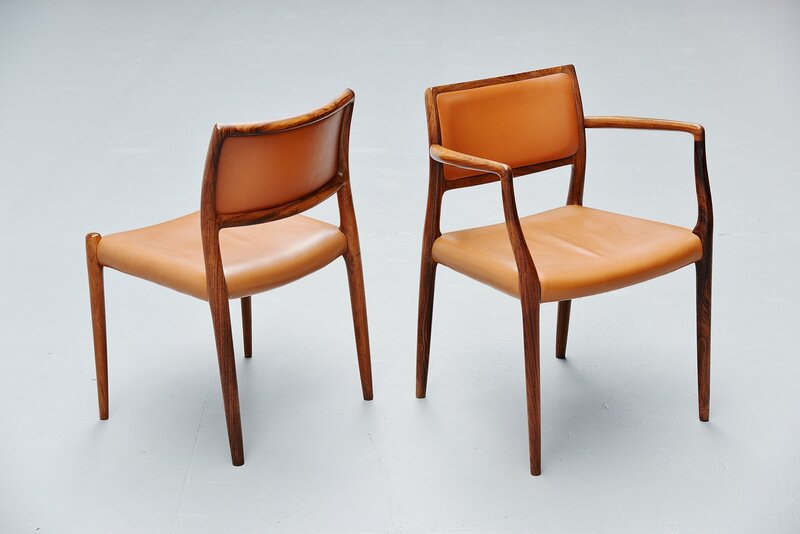 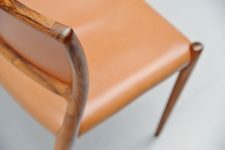 The chairs have solid rosewood frames and original cognac leather upholstery with a very nice patina from age and usage. 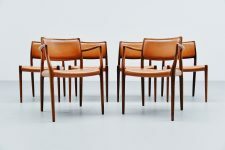 This set has 2 armchairs model 65 and 4 normal chairs model 80. Normally the arm chairs were the chairs to put at the head of the table for the parents to sit at. 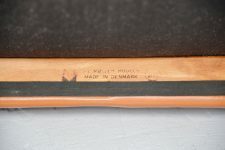 Chairs are in amazing overall original condition and are all brand marked with the Moller manufacturers mark on the bottom of the seat.